Installation is almost complete for our room at upArt, the alternative art fair opening tomorrow at the Gladstone Hotel. 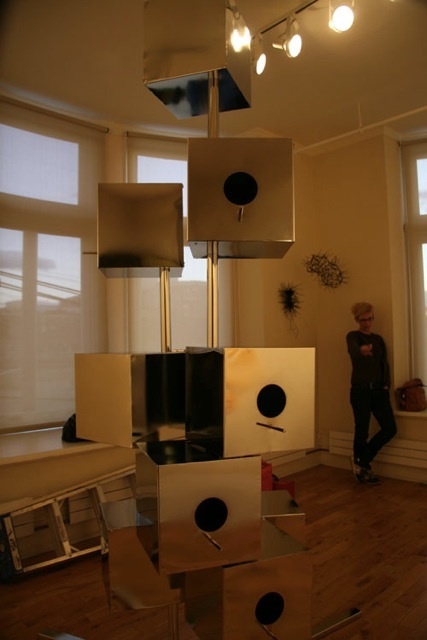 Lauren Nurse has made Habitat 67-inspired chrome birdhouse/condos, and Svava Thordis Juliusson offers a selection of her wall-and-ceiling-installed spikey, icy and pooling sculptures, upcycled from humble materials such as rope and cable ties. More to come, including icebergs, I am told. This year, upArt seeks to address interactions between nature and culture; offering an examination of the environmental chaos around us through a distinctly contemporary lens. The Gladstone’s annual contemporary art fair, upArt coincides with Art Toronto and has been a site of experimentation and emergent work for over 5 years. upArt offers visitors a fully immersive experience of site-specific projects by local, national, and international artists. 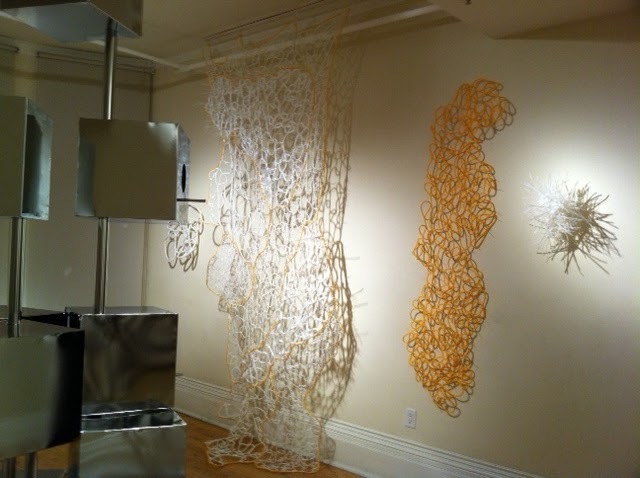 upArt 2011 is curated by Laura Berzadi & Britt Welter-Nolan.